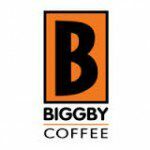 Biggby Coffee offers a wide variety of beverages for the coffee and non-coffee drinker alike. A wonderful compliment to our beverages are delicious meals and light snacks. We have a fresh, daily selection of specialty cookies and baked goods, fruit cups, yogurt parfaits, bagel sandwiches and many other delectable goodies to choose from. Biggby can also cater your next meeting, office party, or family get together.